How much are you selling the books for? Is there a discount from the normal retail price? Any of the contents that are important that you could share? Might want to get a copy too. 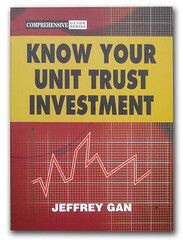 I'll get you the price as soon as possible, but it'll definitely be lesser than the retail price Investor's Guide to Malaysia Unit Trust will cost around RM 35, and Know your unit trust investment RM 25 (both not including shipping cost). Can these books be obtained from the book store? Or only through u? Those book you might find it in the Malaysian Bookstore, but not all bookstore have it. To save time and energy, order tru me is the best way to have it. 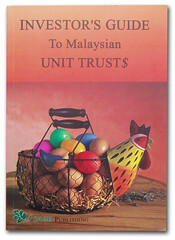 Furthermore, myself promoted directly to the Malaysian Unit trust agents and to the serious investor only. Not all investor realize how important to have those books for their own knowledge.